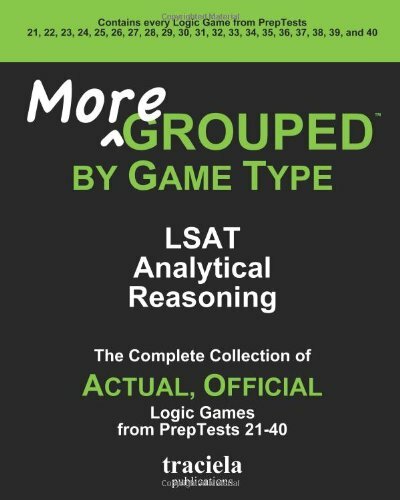 More GROUPED by Game Type is the complete collection of all Analytical Reasoning sections from LSAT PrepTests 21-40 released by the Law School Admission Council. All Logic Games are sorted and grouped by the following game types: Linear Games, Grouping Games, Hybrid Games, Diagram Games, and Process Games. Contains every Logic Game from PrepTests 21, 22, 23, 24, 25, 26, 27, 28, 29, 30, 31, 32, 33, 34, 35, 36, 37, 38, 39, and 40!